Want to purchase a hunting or crossbow license? Then you need to successfully complete an approved hunter education safety course before you can hunt in Nova Scotia. From the Nova Scotia DNR site, you will be returned to HUNTERcourse.com. Confirm your information and pay for your course. $29.95 + HST. 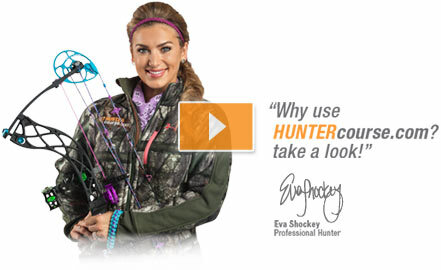 Complete the HUNTERcourse.com hunter or crossbow online course. After passing your written exam for the hunter education course, call the number provided to order your Wildlife Resources Card (WRC). Crossbow students can contact the NS DNR to issue you a new card showing your crossbow certification at a cost of $7.14 + HST. Get started now!